This weekend marks the one-year anniversary of the Women's March, the largest single-day protest in American history, which took place the day after Donald Trump's inauguration. The momentum first sparked by that march and the millions of people worldwide who participated in it has only grown in strength since then, and now, as we enter a year in which midterm elections could mean a massive power shift in American politics -- all 435 seats in the House and 33 of 100 seats in the Senate will be contested -- the organizers of the Women's March are planning a national voter registration and mobilization tour called Power to the Polls, and it all starts in Las Vegas on Sunday, January 21. 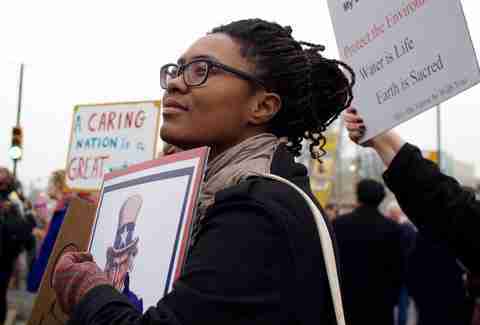 Check out our guides to some of the other biggest Women's March protests around the country in Los Angeles, New York and Washington DC. What is the Women's March Power to the Polls campaign? First of all, the Las Vegas Power to the Polls event is not a march, but the kick-off event for a national campaign tour (think more "rally" than "march"). 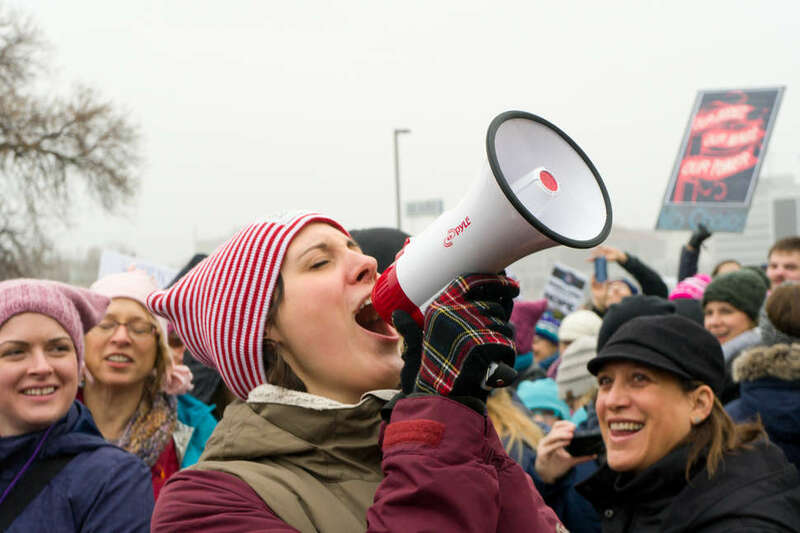 While there are more than 250 anniversary marches and events being held around the world this weekend, national organizers have chosen to hold voter registration rallies in battleground states instead of organizing another march, leveraging the activist momentum first demonstrated in last year's marches into political action. The tour aims to secure progressive seats in the upcoming elections by registering voters and increasing support for women and progressive candidates, and will include stops in other important swing states like Florida and Michigan. Organizers hope to enroll 1,000 voters at this event and a million voters nationwide before the midterm elections. The Vegas event will bring together artists, musicians, grassroots activists, and elected officials to celebrate the work of the past year and launch a collective 2018 Women's March agenda in addition to launching the national Power to the Polls campaign tour. The organizers see this year's rally as a continuation of last year's historic Women's March. "We've marched before and we will march again," they say. "But we've chosen to make the Vegas anniversary even a rally and literal call to action that will kick-off not simply a march but a national tour: the #PowerToThePolls campaign." There are a few reasons the organizers chose Nevada. Part of it has to do with the fact that Nevada is an important swing state -- one that went to Hillary Clinton in 2016. That same year, Nevada also elected its first female Senator, Catherine Cortez Masto. But Nevada is also a state that has recently had experience with some of the most pressing issues facing women in America today, from gun violence to politicians accused of sexual assault. Last year, sitting Nevada Congressman Ruben Kihuen was accused of sexually inappropriate behavior and has since said he will not seek reelection after his two-year term ends. There was also the shooting in Las Vegas on October 1, the deadliest mass shooting in modern US history, and the response from the local community showed that Vegas is not just the sum of its pool parties; that there is, in fact, a true community here. Nevada is a swing state that will help shape the Senate in 2018 -- Republican Senator Dean Heller is up for re-election -- and will also be selecting a new governor this year, as current Governor Brian Sandoval (R) is not eligible to run for reelection due to term limits. The stakes are high in Nevada this year, and that's why Women's March national organizers made Las Vegas, a city with a strong activist network, the hub of their national campaign activities. When and where is the Vegas event happening? The Women's March One-Year Anniversary Power to the Polls launch event will be held on Las Vegas's east side at Sam Boyd Stadium, 7000 E. Russell Road, near Boulder Highway on Sunday, January 21, from 10am-4pm. How do I attend the rally? Attendance is free, but the organizers strongly advise that attendees RSVP beforehand. You can do that here. Who are speakers and performers at the Power to Polls rally? The Women's March Power to the Polls event is scheduled to feature a performance from R&B singer Faith Evans and speakers such as Academy Award-winning actress Marissa Tomei; author, television host, and political commentator Melissa Harris-Perry; Nevada Senator Catherine Cortez Masto; President of Planned Parenthood Federation of America, Cecile Richards; co-founder of Black Lives Matter, Alicia Garza; Executive Director of MoveOn.org, Ashlee Marie Preston; and a host of other political leaders and civil rights activists. Nevada Congresswoman Dina Titus (D) is the Keynote Speaker. You can drive yourself: there's plenty of parking available, but it does cost $10. Otherwise you can take a rideshare service like Lyft or Uber, or call a taxi or shuttle service. There is also public transportation available with bus lines to Sam Boyd Stadium. MGM Resorts International is offering discounted room rates for Power to the Polls attendees at all of their properties, including the Bellagio and Aria. Click here to book a room at the discounted rate. If I can't get to Vegas, how can I help? 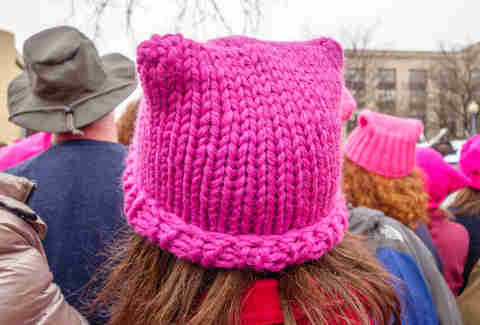 Women's March chapters across the country are organizing their own state-specific anniversary events, including marches, legislative actions, community events, and voter registration drives. If you can't make the national Women's March organization's official event in Las Vegas, check out their Anniversary Events page to find one closer to you. You can bring a bag, but be aware that all bags are subject to bag-check by venue staff. Organizers suggest bringing a clear bag. This event is ADA-compliant and will offer accessible parking and seating as well as American Sign Language interpretation and live captioning on event screens throughout the venue. How else do I get involved with the Women's March this weekend? There are a couple of local poster-making events on Saturday, January 20, for those who would like to meet other attendees and design some creative posters together. VegeNation in Downtown Las Vegas is hosting a Women's March breakfast meetup starting at 8am, after which folks will head over to the Fergusons Downtown market in the alley to make signs for the rally from 12-4pm. Bring paper, markers, and "activist vibes." Also from 12-4pm, swing by ReBAR Downtown for the Trump: A Year of Resistance Women's March Poster Station to make posters for the event. The first 50 beers are on them! They're also working on getting posters and markers, but feel free to bring your own. Not sure what to put on your poster? Check out Bustle's list of ideas to get the creative activist juices flowing. Register to vote! Just text P2P to RTVOTE (788-683). What happens immediately after the rally? While there are no official after-event events, you'll probably be hungry. And since you're already in the pro-woman mindset, we suggest checking out one of Las Vegas's fine eateries featuring women at the helm. Chef Natalie Young's eat. was one of the first restaurants in Downtown Las Vegas outside of Fremont that helped to usher in a new era for "DTLV" -- one that has seen it transform from an area more or less left for dead into a hip place for Millennials to live, work, and play. Eat is a from-scratch breakfast and lunch joint serving simple, soulful, quality food. Now there is also a second location on Las Vegas's west side in Summerlin. Elizabeth Blau is one of Las Vegas's foremost restaurateurs, and the restaurants owned by Blau + Associates are among Las Vegans' favorites. Check out Honey Salt and Andiron Steak + Sea in Summerlin and Buddy V's Ristorante inside the Venetian. The recently-opened Boteco in Henderson, just a 15-minute drive from Sam Boyd Stadium, is owned by Marcus and Alessandra Fortunato and overseen by Executive Chef Rachel LeGloahec, a veteran of both Joël Robuchon and L’Atelier de Joël Robuchon at the MGM Grand. The menu is "a world fusion" of shareable plates, brunch and tasting menus inspired by international botecos and bodegas. Another new restaurant from 2017 is the Black Sheep in Spring Valley, a fast favorite among locals for Executive Chef Jamie Tran's contemporary take on Vietnamese-American fusion cuisine. Trained in French cooking traditions, Tran worked previously at Aureole in Mandalay Bay and most recently at DB Brasserie, where she met her two business partners in the Black Sheep. Tran was named Las Vegas's "Chef of the Year" for 2017 by Eater, while the Black Sheep snagged the title of "Restaurant of the Year." Not too shabby, considering the dining competition in Las Vegas is pretty stiff.